Selling hats. It's got to be more fun in the Philippines. 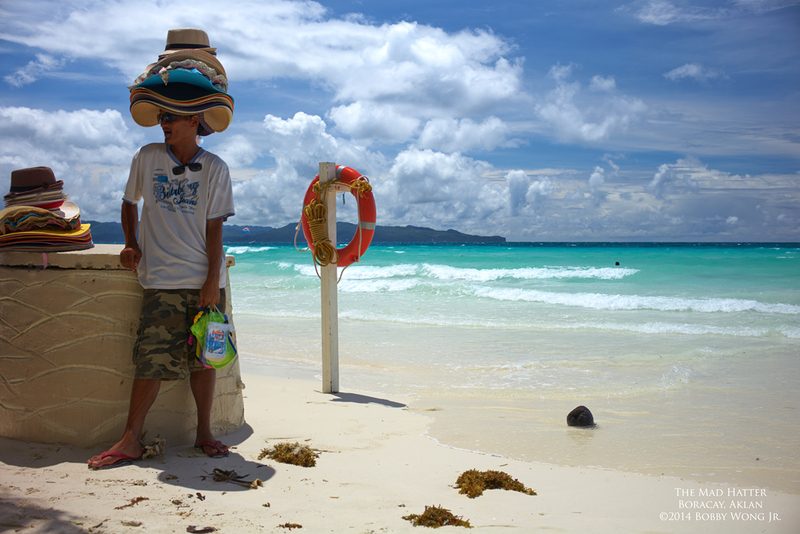 When you see Intricate cloud formations against a clear blue sky... emerald green water as far as your eyes can see... and a gentle surf just beyond the finest powdery white sand beach on this side of the Pacific... you know you are on the party island of Boracay in Aklan. No wonder this paradise is the number one tourist destination in the country, winning accolades every year the world over. Now add a hat vendor with mad merchandising skills. Picture-perfect. Enjoy. In Tagburos, a small town on the coast of Puerto Princesa in Palawan, we were greeted at dawn by an unusually low tide that stranded fishing boats in ankle-deep water. With nary a wind nor a wave, the shallows turned into a near perfect mirror-image of the sky above. Fishermen were scurrying from shore to their boats, then pulling them into deeper water. Low tide notwithstanding, they have families to feed. Enjoy. 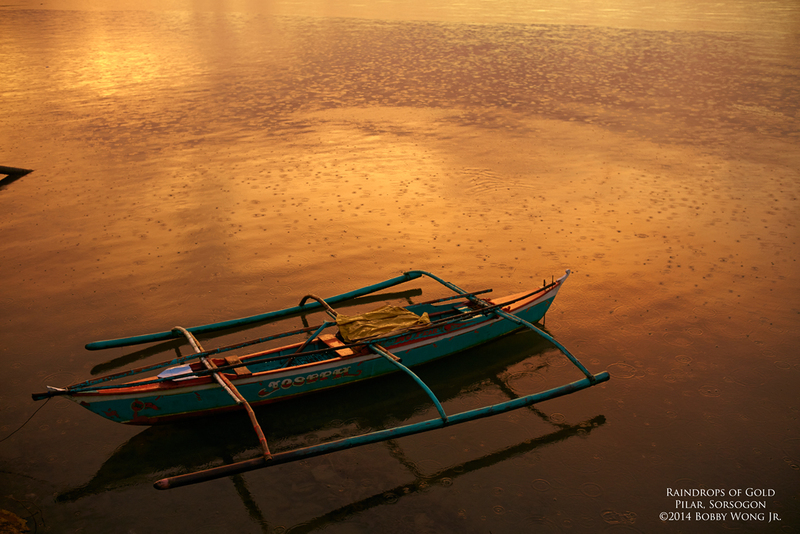 While stalking dawn at the port of Pilar in Sorsogon, ominous rain clouds appeared out of no where. I thought to myself, I've seen this movie before. When you're stalking the colors of twilight, you're always hanging on a prayer. Will fate be kind today? While rain clouds obscured sunrise, it was thin enough to allow the sun's rays to shine through it, blanketing the entire landscape before me in an eerie orange glow, highlighting raindrops in ecstatic dance. Prayers answered. Enjoy. Splashing... gushing...and gurgling. The soothing sound of rushing water can so enchant. Its siren song had brought me back to explore this valley once again. One look at today's postcard and you'll understand ... why I can sit around and listen to it all day. Enjoy. 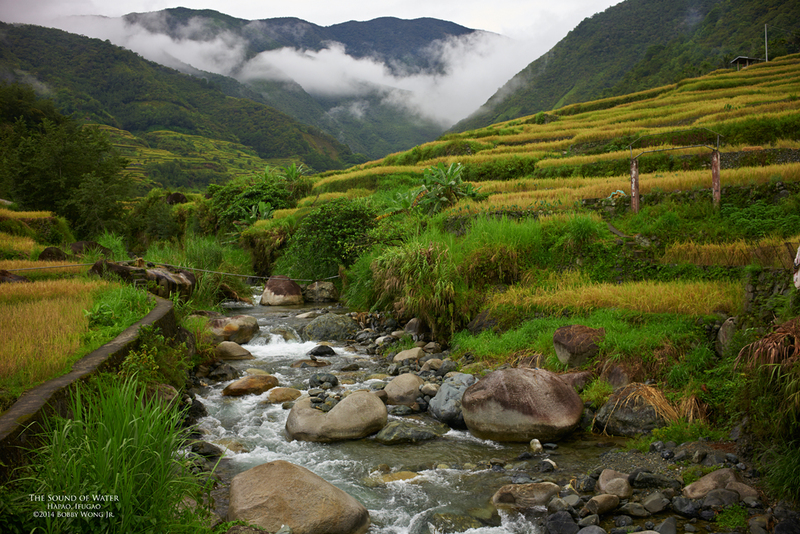 In the Ifugao province at harvest, a revelation was inevitable. 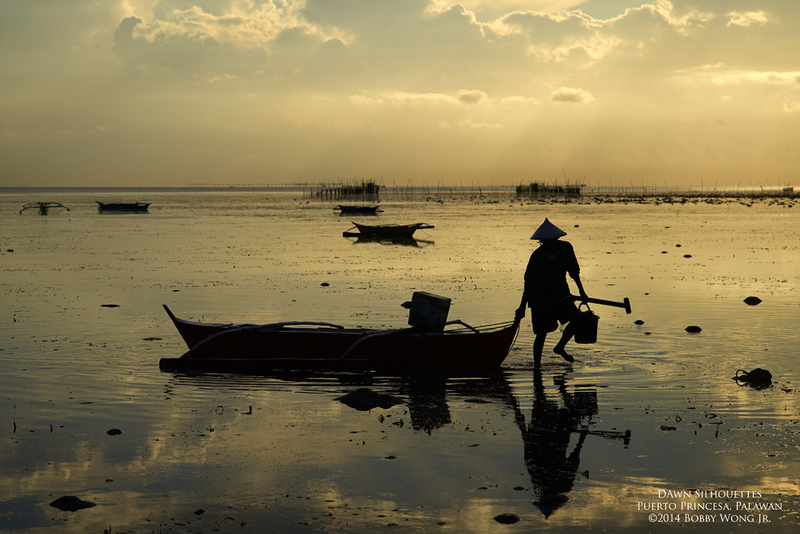 There are several reasons why upland rice costs many times that of regular rice: truly limited arable land, all work is still done by hand or beast, and harvest-time comes only once a year. 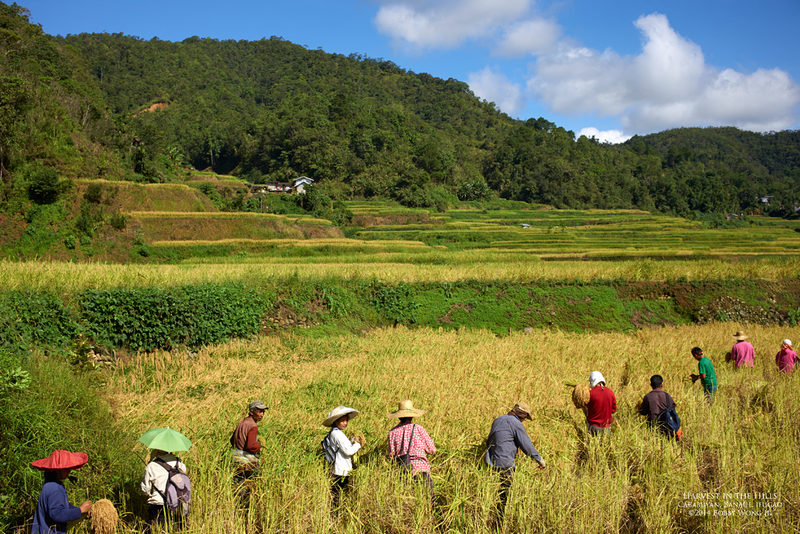 During the harvest season, farmers can get up to P60/kg for their unmilled rice. By the time the millers and middlemen are done, the retail price starts at P100/kg in the public markets. Off-season? No stock.